Improvisation and free play abound in unique online piano course! 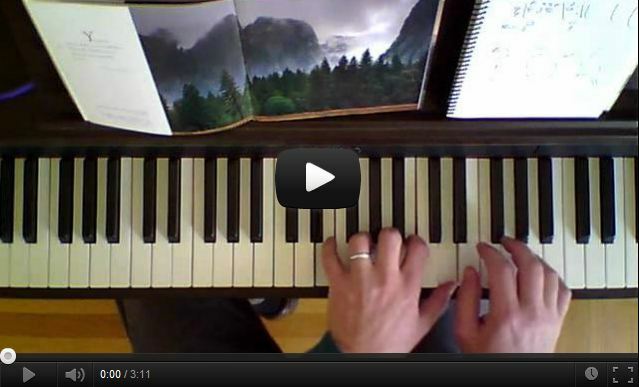 April 12, 2014 - PRLog -- Who says you have to spend years in a conservatory in order to play the piano. Not pianist and online teacher Edward Weiss who says it's a lot easier to play piano by chords and promises to teach anyone how to play in 30-days or less. Mr. Weiss has developed a ‘new age’ approach to playing piano that, according to this eclectic teacher, can have anyone not only playing piano in less than a month, but also create their own music. Not the usual method of instruction to say the least, Mr. Weiss’s course has been online for over 10 years and thousands have taken it. The goal, according to this New Age piano teacher is to focus in and enjoy the process of creating while letting go of the outcome or need to produce a finished product. This process oriented approach is intended to ‘free up ‘ the student’s intuition and allow them to express themselves quickly and easily at the piano. Piano Therapy? 'New Age' Approach Helps Students Relax, Unwind, and Get Creative!